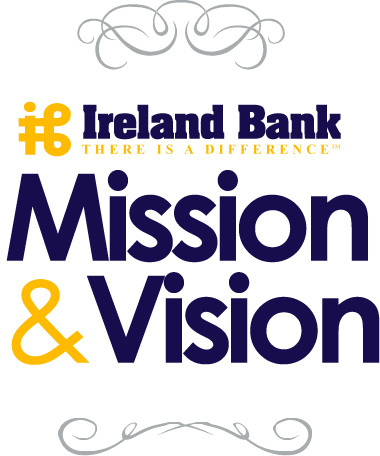 It is Ireland Bank’s mission to practice our traditions and values of customer service and commitment to community. We strive to provide excellent service to every customer with every transaction. We believe in maintaining friendly and knowledgeable employees, competitive products, and old fashioned integrity banking. Ireland Bank knows our customers work hard for their money and have other options available to them. We stand a cut above the rest and strive to make your banking experiences positive ones.